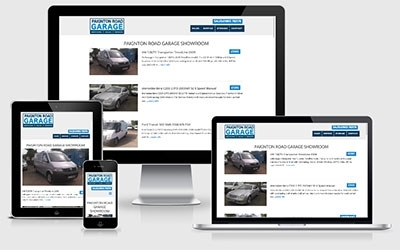 The guys at Paignton Road Garage wanted to quickly create a basic website that not only advertised their mechanical side of the business, but really required an area to advertise vehicles they had to sell. The area was to be managed frequently, with new items being put on and old ones removed once they were sold. We gladly deployed our bespoked CMS which provided a perfect solution to their requirements. This project was turned around extremely quickly and proves you can still have a reponsive mobile friendly CMS website if you are on a budget.